It’s been so cold in the city this past week that people have been skating on the harbour, waterfalls have frozen, and New Year’s Eve celebrations have even been forced to scale back. Environment Canada is forecasting a low of -22°C tonight with the wind chill making it feel more like -30°C. The lowest temperature ever recorded on a New Year’s Eve in Toronto was back in 1962 when temperatures dropped to an icy -23.3°C. 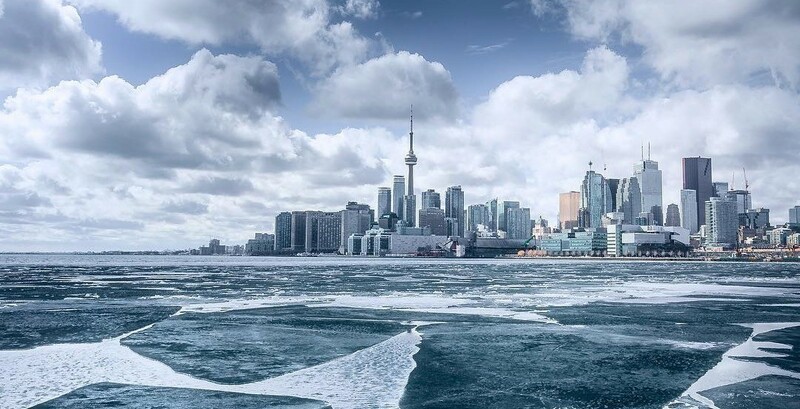 As of noon today, the temperature in Toronto is -17°C with a wind chill factor of -23°C. 2017 is about to end on a very cold note. A fresh surge of Arctic air is encompassing the entire province in its icy grip. Although winds are relatively light, the extreme cold is expected to produce windchill values below minus 30 tonight. New Year’s Eve revellers are cautioned that windchill values will be near minus 30 late this evening as we ring in 2018. Latest indications continue to show that these very cold conditions will persist into New Year’s Day, and possibly into Tuesday before moderating somewhat.